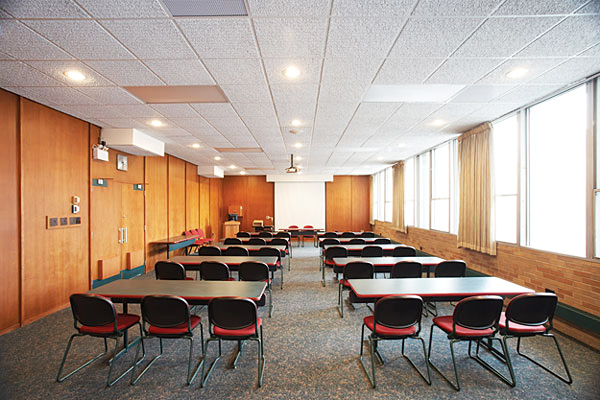 This room is often used for meetings, book launches, seminars, team building exercises and other interactive events. It has its own attached washroom and is equipped with sound system, projector, screen and a computer station. Located strategically between major entrances and exits in Manitoba Hall. Common uses: meetings, classes/seminars, book launches.